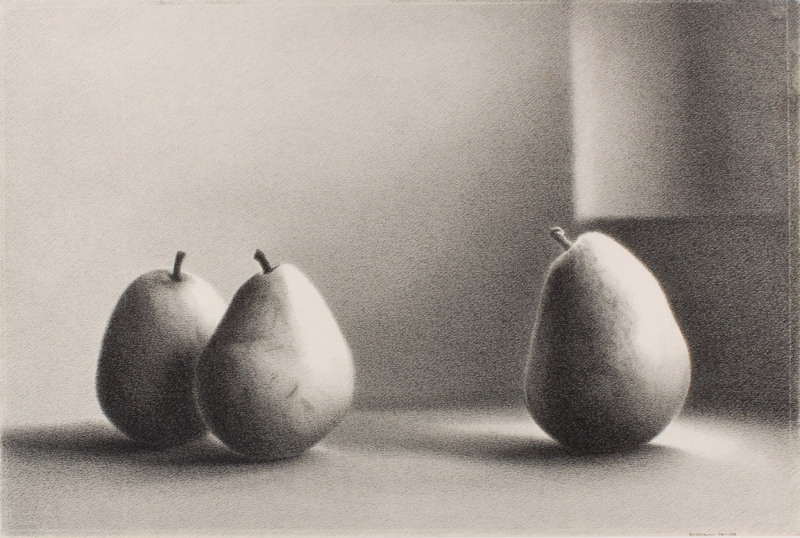 Martha Alf (American, born 1930), Pears Series XIII #2, 1984-1985, graphite on paper, 12 x 18 in, Gift of a Private Donor. Measure, Gesture, Form features a selection of American and European drawings—made with graphite, brush and ink, charcoal, and mixed media—dating from 1958 to 2008. The show highlights the use of grids and seriality in work by Sean Scully, Joe Goode, and Brice Marden; rich explorations of form by Bruce Conner and Christopher Wool; gestural drawings by sculptors David Smith and Anthony Caro; and figurative work by Martha Alf and Lucian Freud, among others. Measure, Gesture, Form showcases the dynamic role of drawing over the last 50 years and honors the sensitive eye and focused interests of the donor. The exhibition will be the first opportunity for museum visitors to see these important works. Organized by the Portland Art Museum and co-curated by Mary Weaver Chapin, Ph.D., Curator of Prints and Drawings, and Sara Krajewski, The Robert and Mercedes Eichholz Curator of Modern and Contemporary Art.